What is the reason for this? There are about 300 mods in 1.8 and many users run 1.8 because it is the latest version (including me). It's better to have compatibility with more versions. There is info there on how to fix this. OH MY GOD!!!! 1.5.8a version is working AE2 beta 7 channel!!! YEEEEEE Thanks BRO!!! Disabling the new filter in the config fixes the search. This version (1.5.8) is support AE2 channel with me-cable? Download the version 1.5.5, it employs channels. 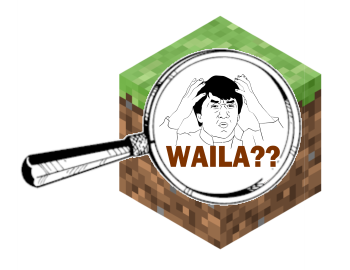 Waila (and all my mods) is distributed under the Apache 2.0 license. It has been for a while. This license means that you can do whatever you want with it (more or less). Also, FTB got a blanket license to include Waila and all my mods in their packs. Stop asking me if you can include it, YES YOU CAN. That's what the permissive license is for. Am I able to put this mod in my mod pack? I assume so, so I will add it but keep it hidden until I get your O.K.